I searched through forums, emailed bloggers and websites, and even signed up and paid for courses. There’s some great info out there (and also a lot of bad info) but what I learned is that making money while travelling is not impossible at all. All it takes is a bit of work, some creativity, maybe a little unconventional thinking and of course, the willingness to go out there and make it happen. 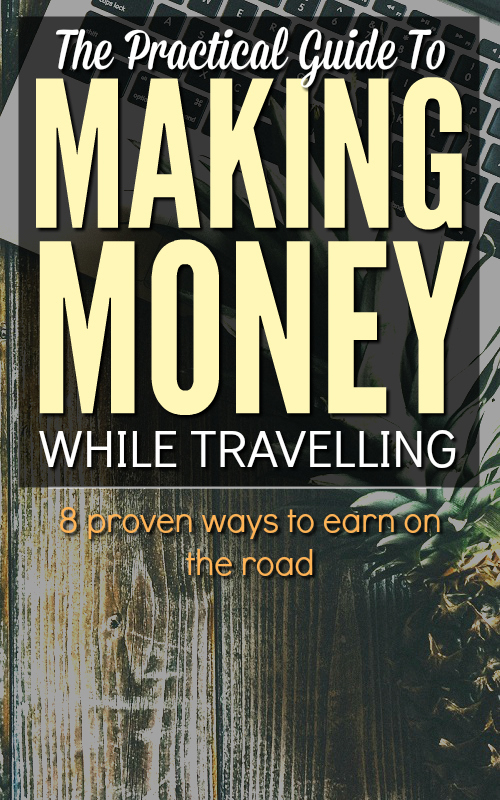 Listed below are 8 proven and practical ways of making money while travelling. Every method is detailed by a real-life experience (by myself, a fellow blogger, or someone I know personally) to show you that real people in the world are actually out there doing it. What’s more, I’ve only included ways that allow you to actually earn an income. You’re very unlikely to make a career out of working at hostels for free beds, or WWOOF’ing for free food and accommodation, so these options aren’t a part of this post. There’s lots to think about here, so get your notepad out and start planning! Freelancing online is just a fancy way of saying you work for yourself online. These days the internet has allowed businesses to employ people all over the world when traditionally they could only employ people in the same city. As a result it’s not uncommon for companies to hire people from different timezones for just about anything. Need an article about New Zealand? No need to send anyone on a plane, just jump online and hire a travel writer who already lives there. Building a website? You can have developers in India working on it within a day. What does this mean for you? It means you can now earn money with nothing more than your laptop and wifi. Some of you will already have skills that are ideal for online work, such as web design, copywriting or social media consulting. If not, you can take the skills you have and tailor them for the freelance environment. You might remember Alexandra Baackes from our interview last month, who freelances as a designer. Fellow blogger and friend Yoshke Dimen from The Poor Traveler has forged a career out of freelancing as a social media consultant. My background is in finance, so I’ve done quite well freelancing as a financial writer. It had bit of a learning curve and was a grind at the start, but I now have clients in The UK, US and India and have turned it into quite a reliable income stream. And most importantly, it’s income that can be earned anywhere in the world, affording you the freedom to travel whenever and wherever you want. Depends on your niche and your marketing skills. It may take a while before you even land your first job. Once you’ve got clients, how hard you need to work will obviously depend on how much work you find. For many in-demand freelancers, sleepless nights are not uncommon. However, the reality is the amount of hours you work are completely up to you. Will vary on your work quality, negotiation skills and your niche. Some writers make 1 cent a word. Some make $2 a word. Some web designers charge $100 per site and some charge $5,000. Getting higher rates takes time, but if you produce quality work there’s no reason you can’t get there. 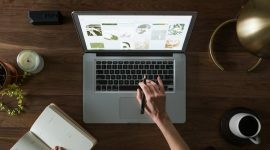 My blog post: How I made $4,000 in my first month on Elance – Everything you need to know about getting started as a writer on Elance (now Upwork). Freelance Writers Den: If you Google “Freelance writing blogs” the first person to come up will be Carol Tice – a freelance writing super whiz. She has a paid forum that I was a member of for two months which has some amazing advice for getting started in freelance writing. I’d recommend trying your luck on Elance for a few weeks, and if you think you can hack it for the long haul, join the den and start taking it to the next level. Problogger Jobs Board: Here you can find writing work that pays a little more than sites like Elance, however you’ll probably need some experience to land these. Guru, Freelancer.com – Similar sites to Upwork where you can find work to kick off your freelance career. The Unconventional Guide To Freelance Writing – Chris Guillebeau has a concise, practical guide on writing with advice from various established freelance writers. They cover how to get started, set rates, write pitches and land big jobs. A good introduction to taking your writing income to the next level. I have it and refer to it regularly! I’ve met several people who have worked on cruise ships, doing anything from personal training to giving massages in the health spa to performing live music in the bar each night. “Accommodation is more than adequate, with cabins that are either shared with another crew member or single cabins depending on your position. The food is varied, covering a range of international cuisines, plentiful and quite decent on most ships. There are usually crew activities such as parties, wine and cheese nights, crew shows, a crew gym, tours, contests, spa nights and a bar or two to help keep your social life active and interesting. When you combine all of this, you end up with a work experience that allows you to travel, network with people from around the world, save a great deal of money and have an absolute blast in the process. And did I mention that you get about two months vacation in between contracts where you can go wherever you want in the world? Not bad at all! Your hours will depend on the position but in general it can range from 4 hours per day (musicians) to 10+ hours per day. And while 10 hours might seem quite unattractive, along with the fact that you work 7 days a week as well, the overall lifestyle on board a ship, with the constant interactions with people and moving around, makes this much more bearable, and much more enjoyable, than you could possibly imagine for most positions. 4-10+ hours per day depending on position. Average salary lies in the $1,500 – $3,000 per month range, depending your role and experience. Of course, cruise lines operate all around the world and obviously need staff. The Caribbean and Mediterranean are especially popular. Work on a Cruise Ship – Wandering Earl offers a book containing everything you will need to know about landing your first cruise ship job. An invaluable resource from an insider on how to break into this unique industry. All Cruise Jobs – A specialist cruise ship job recruitment site. English speaking tour guides have been in demand for a long time, and these days Chinese and Spanish speaking guides are also quite widely sought after. Generally training will be provided and although the pay isn’t outstanding it’s usually enough to live on comfortably. On top of that you will literally be getting paid to travel! Not bad at all. “For me leading tours has been the perfect way to see amazing sights, meet people from all over the world and make friends across Europe. It is by no means a holiday and is a lot of hard work but not many jobs involve spending the day in front of the Colosseum in Rome or at any one of Europe’s famous sights/cities. Depending on the size of the tour company you will be required to complete an intensive initial training ranging from 4-10 weeks and pay some sort of deposit (approximately 200–300GBP). Whilst the training helps you to prepare for life on the road your learning never stops as you continue to visit new destinations and deal with any number of unexpected issues. Schedule will depend on your employer – you could be on the road non-stop or get a bit of downtime between tours. In Europe specifically, the summer is full on while the winter has hardly any activity at all. Pay varies obviously, and is a combination of base salary plus tips. If working full time, you could expect to save between $1,000 to $2,000 a month, as your living expenses are covered while on the job. Again, job opportunities are global so this can vary greatly. Europe is a hotspot, and well paying gigs are available in NZ/Aus, The Americas and parts of Asia (if you speak more than one language you could be a good candidate in many places). “Living and working onboard a private yacht isn’t for everyone; it may sound glamorous but it definitely has it’s share of hard work involved. However, if you are willing to put in the man hours, it has boundless perks. Yachting was the best option for me as it allowed constant travel while maintaining a steady income flow and provided a life on the water. Starting jobs on yachts can offer anywhere from $1,500 to $3,000 a month and that’s not even factoring in tips if you end up on a chartering vessel, so you are never going to have to pinch dimes on the road! Two basic routes for newbie yachties are either as a deckhand working on the exterior of a boat or as a steward(ess) maintaining the interior. -Arielle Maia from Little Mermaid At Sea. Note: Arielle’s blog littlemermaidatsea.com is no longer active. However, her advice is still current. Usually falls between $1,500 to $3,000 a month excluding tips. Seems mostly US based but will definitely be opportunities elsewhere for you to seek out. Yacrew – A resource for jobs, training and advice on becoming a yachting crew member. Dockwalk, The Triton, Daywork123.com – Crew reference sites. Yachtmaster.com, MPTUSA – Sites for getting certified for yacht work. Probably one of the most popular ways to work and travel at the same time, teaching ESL (English as a second language) is now a legitimate career choice all over the world. I studied for 7 years to become an accountant and during my travels I’ve met ESL teachers who were five years younger than me, never went to university and had (significantly!) higher salaries – all while travelling the world debt free and having the time of their life. Unfair much? Of course it’s not a shoo-in but, if you find the right opportunities, this can be an awesome option. 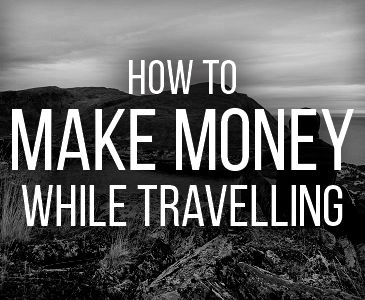 In fact, when people ask me the age old “How to make money while travelling?” I almost always suggest this first. It’s a real job, it’s common, and it pays. If you’d like some photos and a more in-depth review of Jock’s experience, click here. What’s the job like? Japanese teachers typically work from around 7:30am to 9pm at night but because foreigners kind of fall outside societal rules your usual hours will be from around 8am to 4/5pm. There are also occasional after school activities and weekend work. Be aware things are vastly different between prefectures and I can only speak of my experiences in Fukui. Your contract is for 1 year at a time and you get paid monthly consistently around 250,000 yen (maybe $2500-3000). You might remember Christine of GRRRL Traveler from my interview with her earlier in the year. As it happens, Christine has spent several years teaching English in Korea and if I were interested in doing the same, she’s the person I’d talk to first. Korea is well known to pay well for good English teachers – Christine found her job through the popular agency EPIK, and says you can expect around $2,000 a month working a reasonable 8:30 to 5. “Teaching English in Korea was a great way to travel, experience living in an exotic country and get paid for it. I worked in the public school system in South Korea. It was a standard 9-5 job, Monday through Friday, with holiday and vacation time. Usually, you’re paid a wage that supports a decent lifestyle in the country you’re in, with rent, utilities and daily expenses. Some countries pay for your apartment and flight over, however, on the whole, many don’t. I managed to save over $10,000 of my earnings and used it to travel. Obviously varies greatly depending on location, but most jobs will require a typical 8 hour day. Pay can range from $400-$3,000 a month (and possibly much more), depending on your location and contract. Popular in China, Japan and Korea. Many high paying jobs in the Middle East. 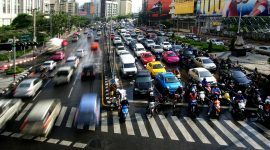 Lower paying work in South East Asia and South America. Europe jobs available but difficult to get for non EU citizens. The official JET homepage – Find all the information you need on the programme and how to apply. 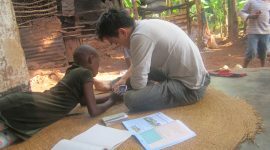 i-to-i TEFL course – One of the most popular places to get your TEFL course. This allows you to get your certification completely online and they can even assist you with your first job. Definitely check out the site because they have sales regularly! Dave’s ESL Cafe – Definitely one of the most popular go-to resources for ESL research online. So you wanna teach English in Korea? – An excellent resource page by GRRRL Traveler for finding a teaching job in Korea. Teaching English the creative way – You don’t need to get an expensive TEFL certificate and a bunch of job interviews to earn money teaching English. Check out how Wandering Earl did it the creative way. Au pairing is when you live-in and work for a local host family. Your job is usually to provide childcare and help with light household chores. It’s a concept that originated in Europe (France, I believe) but has since spread around the world. I’ve met au pairs working here in New Zealand and also in China, and you might also remember my interview with Ashley Fleckenstein who worked as an au pair in France. 30 hours max per week. Pay can range from 50 to 250 euros per week. For a more detailed breakdown, check out this table. Also keep in mind au pairs live with the family employing them, so your room and board are covered. Many au pairs also receive additional perks, such as language study, gym memberships etc. Popular in Europe, particularly France and Germany. Also becoming popular in China, US, New Zealand and Australia. Will be possible in several other countries too. How to become an au pair, Part 1 and Part 2, by Kate Jordan. Au Pair World – One of the more popular websites for finding an au pair family. The Insider’s Guide To Au Pairing In Europe: If you’re serious about getting placed, this premium guide by Ashley Abroad will save you a ton of time and give you access to Ashley to answer all your questions. Covers all the inside hurdles, such as placements, visas, contracts and so on. Check it out. Getting a working holiday job is possible in most countries, but obviously it will depend on your skills and experience and some countries will be easier to get into than others. Popular destinations are New Zealand, Australia, UK, USA and Canada, and you might be doing anything from waitressing to skydive instructing, or maybe even the exact same job you did at home (but in a different country, of course). Will obviously depend on your role. Down here in NZ I meet people working as tour guides, language teachers, surf instructors – it all depends! Many working holiday jobs are typically low skilled which means you won’t be earning a fortune, but it also means jobs are easier to land and should earn you more than enough to live on. In NZ and Australia, the minimum wage is around $12/hr and $15/hr (USD) respectively, so you won’t be starving. Technically you can do a working holiday almost anywhere, but it’s extremely popular in Australia, New Zealand and the UK. Programs like Work USA and Work Canada are also great for youths. Middle East is renowned to pay (very) well; I’ve had several friends work in Dubai and the ‘stans and make ridiculous money (like, in the hundreds of thousands of dollars kinda money). y Travel blog – Caz and Craig Makepeace could fill a small library with their working holiday information, covering destinations like NZ, Australia, UK, USA, Central and Eastern Europe, Canada and more. Check out their working holiday posts here. My friend Nina also has a great, up-to-date guide on the working holiday visa for Australia. STA Travel – If you’re a student, STA travel is a great resource for seeing what working holidays are available to you, even while you’re still studying. Working holiday visas by Wikipedia – As always be cautious of the accuracy here, but Wikipedia has a comprehensive list of countries with working holiday visas and what requirements you might expect. Your employer! – Particularly if you work for a large company, there may be vacancies overseas which you could be a candidate for. Ask! Linkedin – A very underrated resource for finding work overseas. People are headhunted and employed on this site all the time! Make sure you have a complete profile with a picture before starting your job search. 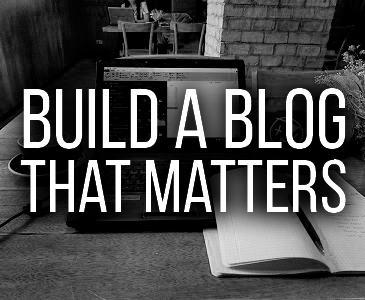 Anybody can build one (because you can build a niche site about anything). You can work on it anywhere you are in the world! Those are all ideal features of an income stream to build while you’re travelling. But let’s back up. What is a niche site? Well, the name is quite self explanatory. It’s a website about a specific niche, typically one that you have a strong interest in. 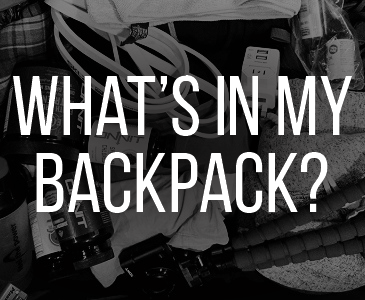 It could be hiking, parenting, pogo sticks, bb guns, pilates, grilled steak – anything! The idea is to build a website with lots of good information on it, no different to the websites you find when you type something into Google, and then attract some visitors. Those visitors will read your articles and buy products and services you recommend, or click on ads, or even buy your own product offerings. The great thing is everything is done over the internet – you don’t need a store, a customer service line, inventory, or anything like that. It’s not uncommon at all for people to be earning thousands of dollars on a niche site within the first year. Just takes some research and reading, a bit of passion, and a lot of hard work. I actually built a niche site not long ago just as an experiment (the skillset is very similar to blogging) and recorded all my results in this guide here. The site was actually profitable from the very first month! And it wasn’t that hard at all. Everything, from how I chose the niche, to the articles I wrote, to the actually site itself, is all broken down in my guide. If you’re interested in building your own niche site, you can click here to check it out now. The great thing about a niche site is the schedule is all up to you. You do need to work on it regularly – but if you work on it for an hour a day I would expect you to get some good results in the first month. Every now and then you can throw a good four or five hours at it during a weekend to speed up your progress. It’s really up to you. For the niche site in the guide I mentioned above, I probably spent about 30 hours on it before it starting generating income. You can build it anywhere! You just need a laptop and internet. My guide on building a niche site has everything you need to get started – how to find a host, register a website, find writing ideas, get traffic, and monetisation. It’s all laid out step-by-step for you to get your first site underway, and it’s totally free. There are also links to a lot of other resources in that guide to get your site going. Click here to check it out. These are some of the more common and accessible ways to earn money while travelling, but to be honest we’ve barely scratched the surface here. Out there you will find endless ideas on how to work and travel the world at the same time. In fact, one of the most interesting things about travelling these days is meeting people who have come up with more and more creative ways of earning money on the road! One girl I met in The Philippines simply approached a hotel with a gym and pitched the idea of starting a morning zumba class and, boom, almost instantly she had a job. What skills do you have that a business overseas would like? Bar tending? Yoga? Is there something you could teach? Surfing? Diving? Or perhaps you could just negotiate a remote work agreement with your current employer? Opportunities are endless and with a little research and effort, you could soon be on the other side of the world in a matter of weeks, earning good money, and exploring the places you’ve always wanted. All you need to do is take the leap. Want to know more? Got ideas? If you have suggestions or questions for myself or any of the contributors here, post them in the comments below and we’ll get back to you. These are really good ways to make money while traveling. I may end up doing a few of these myself. I’m currently saving up for a RTW trip and i should have plenty for that by the time i leave in 2017 (I have to finish my degree first!) but unless my website booms and I make a solid book deal by the time I finish the trip, i will need to get creative! 2017! You’ve got a bit of time there..hopefully you shouldn’t have to work at all during your travels. Good luck with your site! Great article and good advice you got there! Some years ago, I had the chance to work as an English teacher in Colombia. It was a unique experience and I recommend it to everyone! Great blog – keep going! Hey Tim, how lucky, I only spent a short time in Colombia and would’ve loved to do something like you did to really get under the skin of the country. I’m sure you would’ve had an awesome experience there. Keep travelling! Great tips! I was wondering though if it is possible to teach English abroad when it’s not your native language..
Definitely is, although you’d probably find it harder to find a job in a “good” school. Also, don’t forget about your mother tongue, you’d be surprised how many people want to learn languages other than English! Hey Kate, thanks for contributing! Great ideas on how to make money online! In connection, I love your other post on working as a freelance writer in Elance. Kept me motivated! Thanks! Great tips Bren. I know some travellers make money from Fiverr while travelling. Some countries where you can live with $20 per day so that would be enough to enjoy the trip. I’ve never tried fiverr, but I know people who do get quite a bit of work off there. I prefer Elance though, just because of the increased likelihood of landing well paying clients. In any case, whatever works! What a great guide Bren!! Super informative for anyone wanting to earn money and travel at the same time! Thanks for featuring us. Glad you like it and thanks for being a part of it 🙂 Travel safe! Great site and ideas. Two comments, teaching English in the top paying countries (eg. China Japan Korea ); you can only get a work permit if you have a degree. Also the au pair scheme, in France anyway is great and plenty of jobs available. It is set up for people under 30, so over 30 changes tax breaks or sonething so it costs more for a family to employ you. Been there done that with these. May not be relevant for most but handy to know. Once you have a client stream it’s good, but you’re right, it does change your travel style. Instead of a whole day sightseeing you might work during the day and then do a local market for dinner or something. I, personally, prefer to do my work late at night and keep my days free. But whatever you choose, it can work.